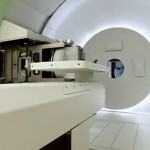 Check out the latest news about proton therapy: this week, find out how this state-of-the-art treatment modality is accomplishing new milestones every day and helping cancer patients fight their disease. Samantha Williams, a 22-year-old student from the UK, was looking forward to completing her studies of animal science at Plymouth University. But a cruel stroke of fate completely changed her plans. Last May, Samantha received the devastating diagnosis, as doctors told her that she had undifferentiated nasopharyngeal carcinoma in her sinuses and lymph nodes. Since then, she has undergone several operations followed by two bouts of chemotherapy. To complete her treatment, her doctors suggested that she underwent IRMT, a conventional type of irradiation. However, Samantha and her family had learned that this treatment could leave her with brain damage, and loss of sight and hearing, due to the close proximity of her brain, eyes and ears to the affected area. At that time, they researched her condition and came across advanced proton beam therapy, but when the family contacted the NHS about Samantha’s treatment, they received a negative reply. 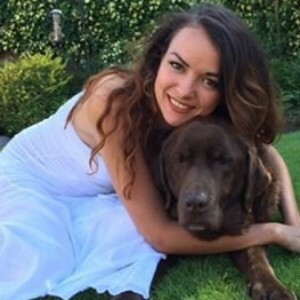 That’s why she had to go to Prague to receive her 8-week £65,000 treatment, and thanks to public donations and a crowd funding website, Samantha managed to raise most of the money to pay for it. September 23rd marked the last of her treatments at Prague Proton Center. She is now feeling good and only has mild side effects as a red skin and dry throat but she know this is nothing compared to what could have been the possible long-term or chronic side effects of traditional therapy. “The proton treatment was very well tolerated and the tumor is now in regression,” her doctor said. An increasing number of children with cancer who need radiation are being treated at the University of Florida Health Proton Therapy Institute. Since opening in 2006, the institute has treated over 1,000 children, a milestone reached this month. It is currently the world’s largest pediatric PT program, serving 25-30 children each day. 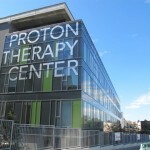 Proton therapy is a specialized form of radiation treatment that minimizes damage to healthy tissue surrounding a tumor. It is especially important to limit radiation exposure in the rapidly growing bodies of children since their cells are more susceptible to radiation damage. The long-term benefit for survivors of childhood cancer treated with proton therapy is a reduced risk of developing radiation-induced chronic illness, low growth hormone production, secondary cancer or impaired IQ. The most common tumors in children treated with proton therapy at UFPTI are ependymoma, craniopharyngioma, low grade glioma, rhabdomyosarcoma, Ewing sarcoma and medulloblastoma. “Since the majority of our pediatric patients are treated for sarcomas and brain tumors near critical healthy tissue, it is paramount to avoid unnecessary radiation exposure which can compromise growth and development,” said Daniel J. Indelicato, M.D., associate professor and director of pediatric radiotherapy at the University of Florida. “Our goal is to cure children with high dose radiation but still avoid side effects.” As part of an academic health center, a fundamental component of the University of Florida pediatric program is education. 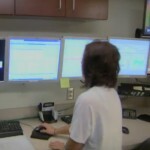 The doctors at the UFPTI are training the next generation of pediatric radiation oncologists. The cancer treatment facility houses both conventional radiation and proton therapy, and delivers proton therapy to 100 patients a day. A 12-year-old girl who has just finished advanced proton therapy treatment for her cancer got a sendoff from the hospital staff that she’ll never forget. Instead of the traditional hugs and card, she got a fun flash-mob surprise. Many years ago, Sophia was diagnosed with scoliosis and eventually treated with a brace worn 23 hours a day. Her back pained worsened and two years ago, an MRI ordered by her pediatrician revealed she had a large tumor growing on her spinal cord. She underwent major surgery to remove the tumor, but a year later tests revealed it had returned. At that point, her physicians suggested proton therapy. 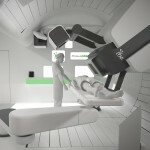 Sophia was the first pediatric patient to undergo this form of treatment at the Willis Knighton Proton Therapy Center. After completing her treatment, she was surprised flash mob style by the staff at the Center: on this special day, one of her nurses gave her a pair of sunglasses and led her out to the lobby. The staff was waiting for her, all wearing Sophia’s favorite footwear, Converse Chuck Taylor sneakers. With Silento’s “Watch Me (Whip/Nae Nae)” playing, they all got up and danced together. The unexpected surprise was recorded, and the video posted on YouTube has already more than 3.000.000 views!